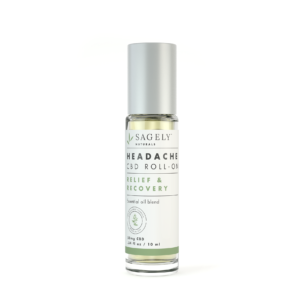 Filled with CBD, essential oils (Peppermint, , Eucalyptus and Rosemary), & cooling menthol, Sagely Naturals Relief & Recovery Headache Roll-On may help provide relief from occasional or temporary headaches. 1 fl oz equals 50mg CBD. Their original formula was created by PhD chemists.